A mechanic force tester is a device that is made of a robust metal housing and is created for higher force ranges. Due to its dual scale Newton and kg, display can be read off the mechanic force tester directly and parallel. The maximum force within the trial can be retained via PEAK hold function. Zero position of the display can be realised in every position via the button push on the device. 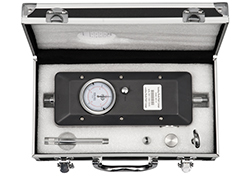 The mechanic force tester is suitable for holding in the hand or fixing at a test-bench. Additionally the mechanic force tester is mountable directly at our motorized test-bench PCE-MTS 500 without big effort. 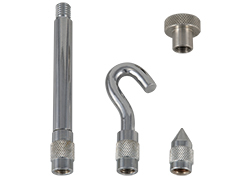 Due to its standard thread M10 on the push and pull side every standard attachments are adaptable. 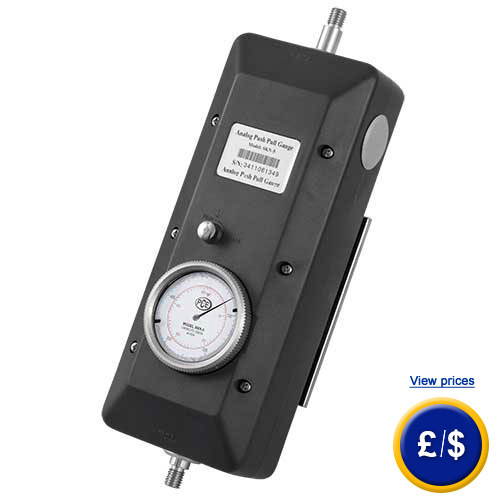 If you have any questions about this Mechanic Force Tester PCE-SKN series, see the technical specification below or contact us: UK customers +44(0) 23 809 870 30 / US customers +1-410-387-7703. Our technicians and engineers will gladly advise you on all mechanic force testers and all products in the field of measuring instruments, regulation and control and scales. Here you can see a mechanic force tester during a tension measurement. Here you can see all attachedt parts of a mechanic force tester. Here you can see the delivery content for a mechanic force tester. ISO calibration certificate for a mechanic force tester. For companies that want to include the digital torsion adapter into their testing pool or for annual recalibration. The certificate according to ISO includes labour calibration and a test certificate with all measurement values. 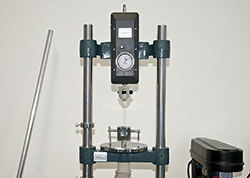 A mechanic force tester can be combined with a test-bench. 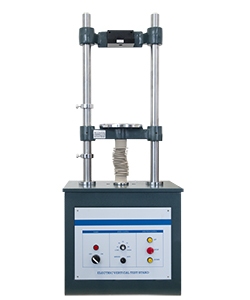 The test-bench offers an ideal solution for many pressure and tension measurements. Using the test-bench always makes sense, if for instance in laboratory daily product testing has to be carried out always under the same framework conditions (excluding personal-related failures). Technical data of motorized test-benches can be found at the following link: test-benches. Or you can take a look on details of test-benches in the respective description in the online category force tester benches. Test-bench for a mechanic force tester.